WASHINGTON—In what officials are calling "a much-needed policy shift," the Federal Aviation Administration announced this weekend that it would ban all plane crashes. 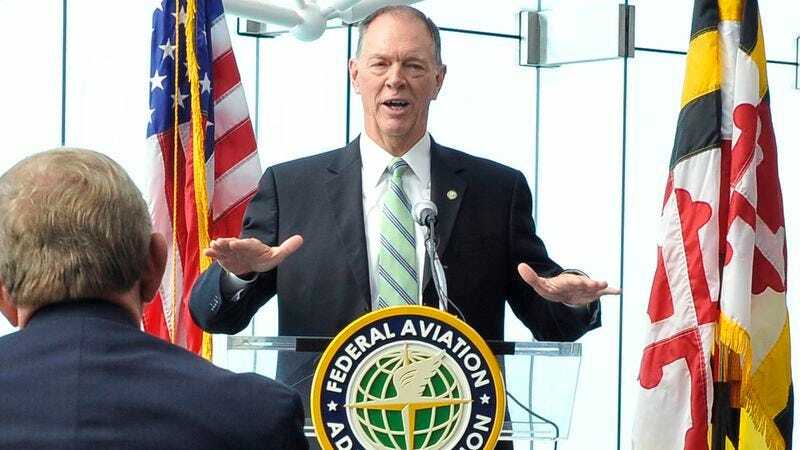 "After a careful review of flight data from the past 25 years, we've determined that customers, pilots, and the airlines themselves would benefit significantly from a strictly enforced no-plane-crash policy," said FAA administrator Randy Babbitt, adding that pilots involved in fiery plane wrecks could face a steep fine or even suspension. "The practice of crashing an airliner into an ocean or mountain will no longer be tolerated. American consumers deserve better." According to industry sources, most commercial airlines are planning to fit in as many crashes as possible between now and Jan. 1, when the ban officially goes into effect.